WordPress started as a blogging platform but soon evolved into a Content Management System (CMS) used to create full websites. But certain features meant for a blog doesn’t suit well for websites and one among them is displaying archives. An archive in a blog contains a list of “posts” based on date, category or author, sometimes even bloggers (like me) don’t like to displaying date archives. So I decided to redirect the date archives in my blog to the home page without using any plugin and in the process also learnt redirecting category archives to other wordpress pages also. There are many ways to do this like editing the .htaccess file or using a plugin and here I’ll be editing the wordpress PHP theme files. Before we begin let me tell you that this method will stop working if you change your theme, so you need to add the code again if you decide to change the wordpress theme. Please take a backup of your theme’s archive.php file located in the following location. Replace “/document/root/wordpress” with your WordPress installation’s document root and replace “theme-name” with your “current” theme’s actual name. 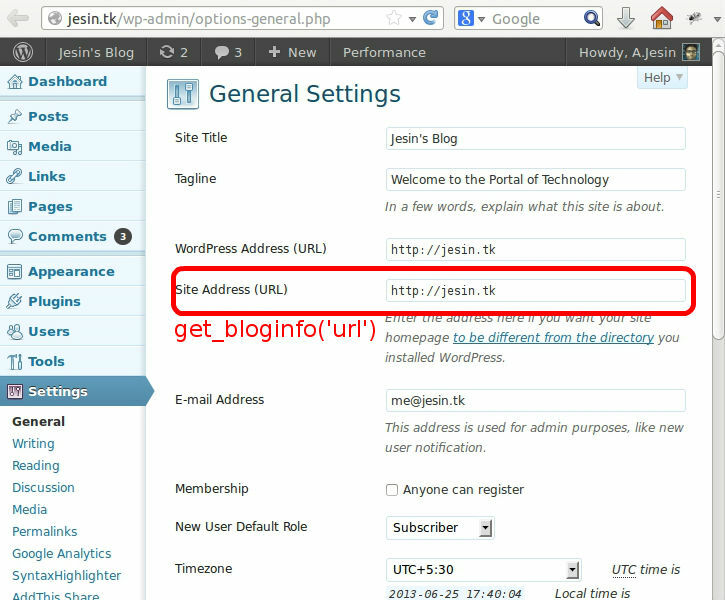 Login to your WordPress /wp-admin as an administrator. Go to Appearance > Editor and from the right templates list click “Archives” the file name is usually archive.php. Choose and insert the appropriate code based on what and where you want to redirect. Insert the following code at the beginning of the “Archives” theme file. The is_date() wordpress function checks if the currently displayed archive is a “date archive” and returns TRUE or FALSE. A date archive is the one that displays posts by the date mentioned in the URL, so http://www.example.com/2012/ will display all posts published in the year 2012. The next line contains another wordpress function get_bloginfo(‘url’) this returns the “Site address (URL)” set in Settings > General page. The header() is a PHP function using which we are sending a 301 “Permanently Moved” HTTP header with the home page in the “Location:” header. Replace the text “Page Title” with the title of the page to be displayed. The get_page_by_link() wordpress function retrives the page ID of the “Page Title” passed as a parameter, this page ID is passed as a parameter to the get_page_link() wordpress function which retrieves the permalink of that page. This is what happens in here. Use the is_category() wordpress function to check if the currently displayed archive is a category. Replace “Page Title” with the title of the page to be redirected. Finally this is for redirecting a specific categories to specific pages. The code for this is similar to the one mentioned previously the only difference is the pass the “Category Title” as a parameter to the is_category() function. The words “Page Title” in line number 3 should be modified to the page you want the archive to be redirected. You can just continue this code with an elseif and add more “Category Titles”. Author archives display posts written by a particular author, this may not be necessary if you have a single author blog or building a website. Insert the following code in the beginning of the archives.php file. 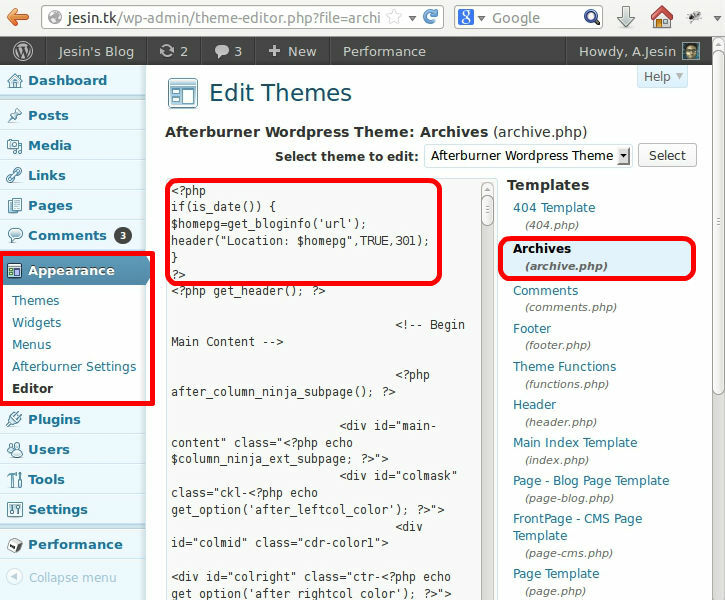 The is_author() wordpress function redirects all requests to author archives to the homepage. You can also pass an author’s nickname as a parameter to the is_author() function so that only those author’s archives redirect. An author’s nickname is the one entered in Users > Your Profile. Redirection can also be done to a different page instead of the home page. To achieve this use the following code. Now go ahead and test what you’ve done. The response code must be 301 and the “Location:” should the target page you mentioned in the header() function. If you get a 404 page not found error check the URL mentioned in the “Location:” header by copy pasting it into your browser’s address bar. If you get a browser error “This page isn’t redirecting properly” its because the “Location” header contained nothing, this could be due to a non existent “page title” entered in the PHP code in archive.php. So check if the case and spelling of the “Page Title” is correct. Still facing problems redirecting? Drop a comment and I’ll help you out. I am trying to redirect a specific tag archive (e.g http://mydomain.com/tag/tag-name/) to a specific (External) URL. Is that possible, and if yes, do you know how to do it? Actually, I want to redirect many tags to the same external url. This is possible using the is_tag() function. Pass the tag slug as an argument. To redirect many tags to the same URL use the OR logical operator. Thanks alot Jesin A it worked! It worked! Thank you soooooooooooooooo very much! Thanks a lot for this tutorial! I’ve been looking for a way to do this for ages. I just tried to implement your advice on my website with the category archive pages, but something goes wrong: instead of redirecting me, the page goes completely blank, and the URL remains that of the category archive page. What is it you think I might be doing wrong? I tried adding an “endif;” at the end of that last bit of code, but no joy either. Thanks for your reply, but I don’t quite see the difference between the new code you suggest and the one I tried already? Look at the quotes and you’ll find the different. Now it is ' ' " "
Oh yes, curly quotes — my tired eyes read “curly brackets,” sorry. That is awesome !! … Thank you very very very very very much, you just saved my life. Thanks very much for the amazing explanation, it solved a big development problem I had and really spent such a long time looking for a solution. I want to add a link in my Homepage to redirect to a specific category archive. Hello, I want to redirect my latest posts archives pages (blog/page/1, blog/page/2…) to: blog/myposts/page/1 …. and so on. Is it possibile via .htaccess or other wp files? Do you have any other suggestions? Do you think that one above has disadvantages (SEO, or other)? You could use this method to rename the pagination_base permalink. but i doesnt seem to work. i tried all the things you said even tried with the page id number but it doesn’t seem to work. I’m working with multisite, i don’t know if thats a problem?